Globalisation and economic growth mean more people and freight are taking to the air, and in turn airport facilities regularly require expansion or upgrades to meet client, business and community needs. 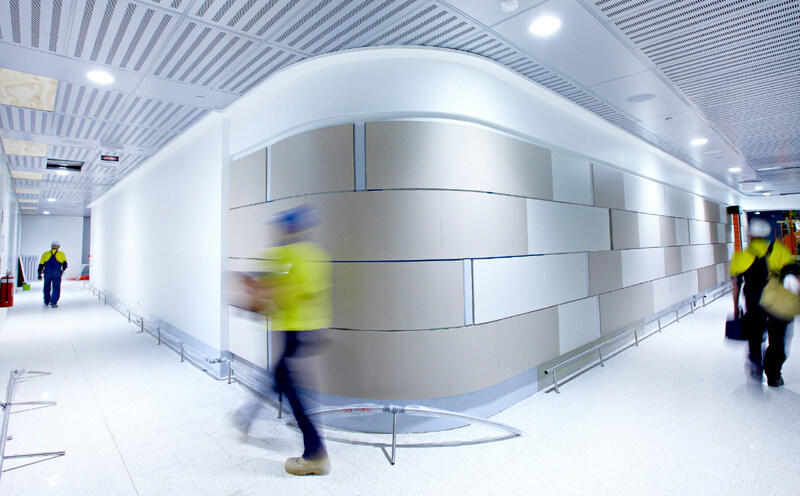 Airport projects are managed in fully operational, high-security environments that require a team of experienced and trusted advisers who understand the particular context and the needs of the client and project stakeholders. Our long association with Melbourne Airport has given Root Partnerships a unique breadth and depth of experience in airport operations. In twenty years we have worked with Melbourne Airport and its partners to undertake master planning, feasibility studies and business cases, and provided full project management services for design preparation and project brief, design management, procurement of contractors, and the management of the construction and fit-out through to commissioning and operational readiness within a wide variety of airport operations. Over that time our project portfolio at Melbourne Airport has covered new and upgraded passenger terminals, passenger and airline lounges, the airport hotel, various car parks, administrative buildings and offices, logistics and warehouse facilities, check-in facilities, passenger concourses, retail outlets, four baggage carousels, baggage handling systems, aerobridges and services and security upgrades. Undertaking major construction works in a live 24 hour airport terminal ensuring no disruptions to flights, passenger support other airport facilities is an ever-present challenge. Over the 21-year association with Melbourne Airport, Root Partnerships has developed a deep understanding of airport operations and works hand-in-hand with all parties to ensure projects are comprehensively managed.